One of the most dramatic differences between men and women in the mixed martial arts game involves hair. The men, unrestrained by cultural pressures, often lean towards ultra-short, ultra-efficient hair. Many of the women, however, still like to maintain long hair. When training and fighting so much this can sometimes be problematic. 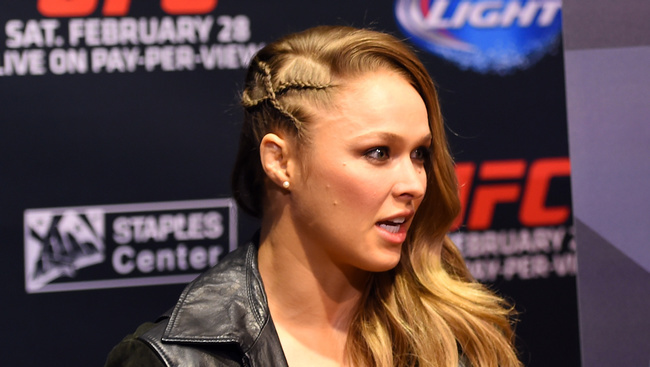 Sarah went to Abraham Esparza, the personal hair stylist for Ronda Rousey, to learn more about what’s involved in these athletes maintaining their manes. To read the story head over to Fightland by clicking here.